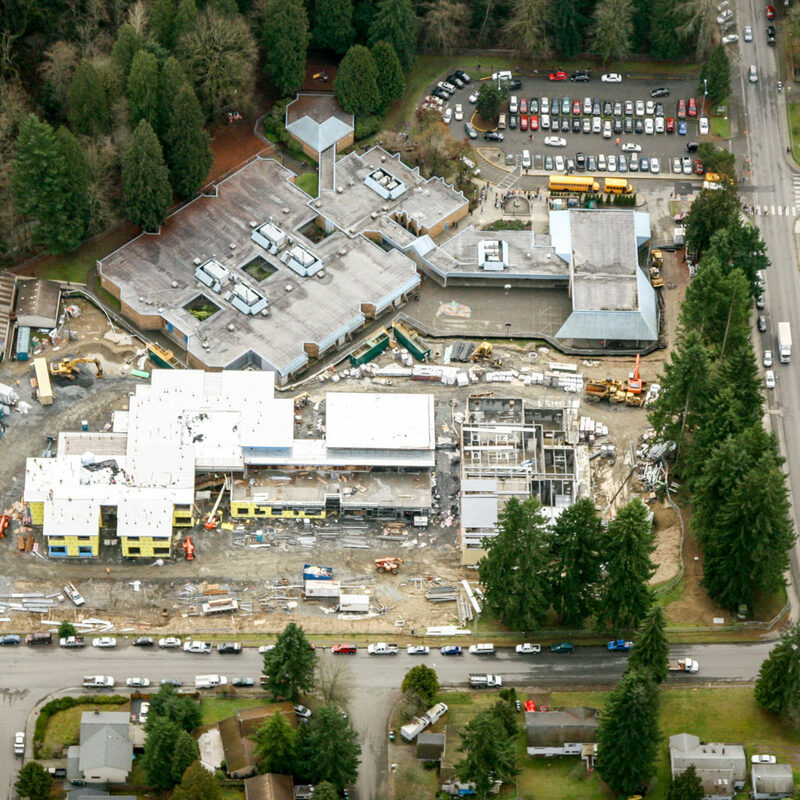 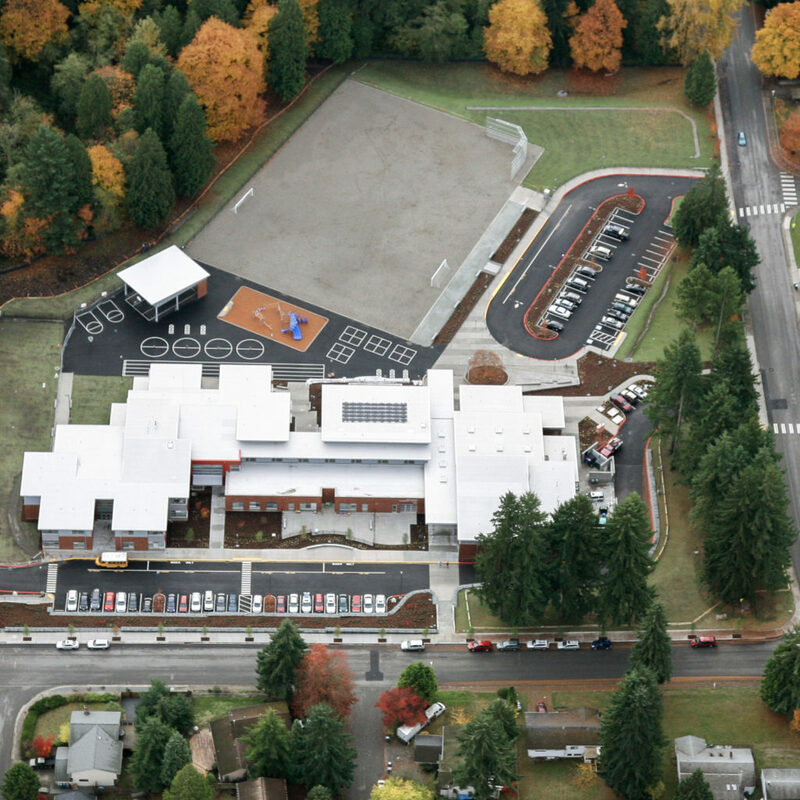 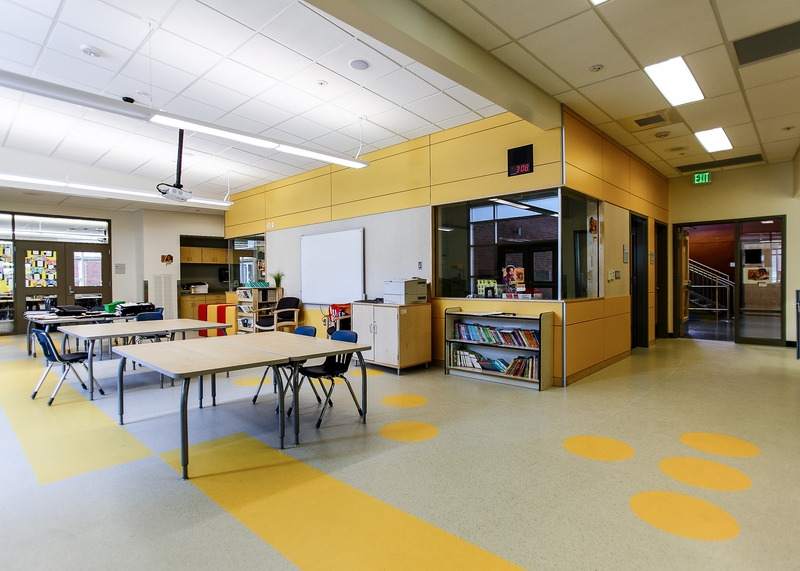 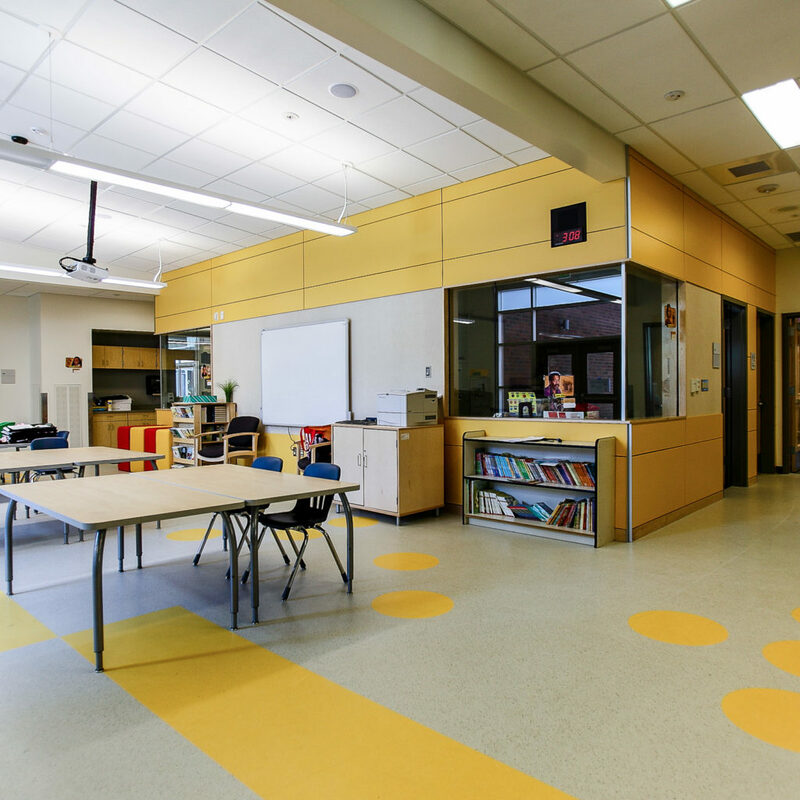 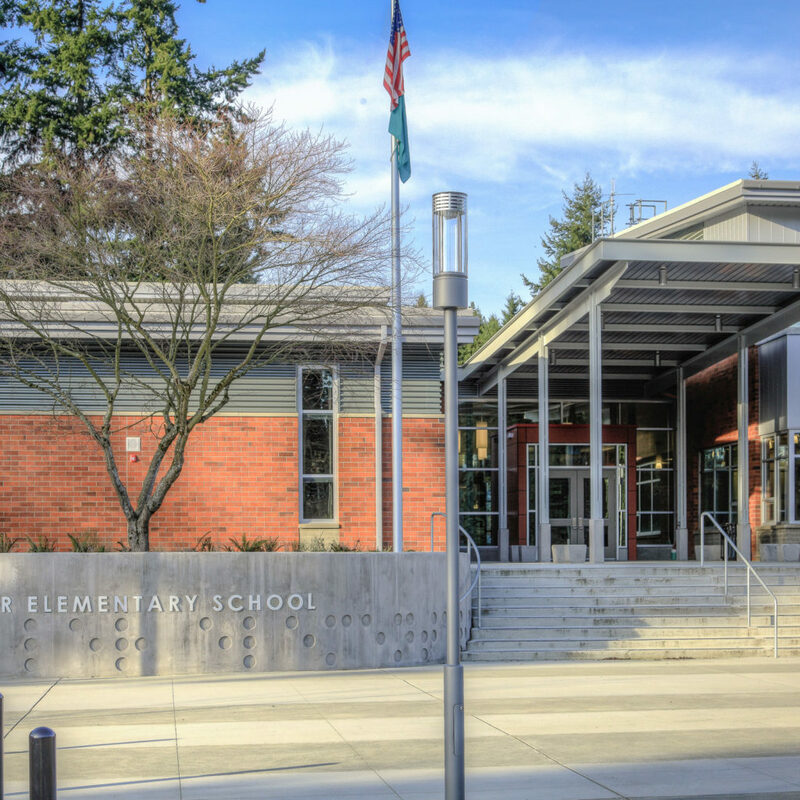 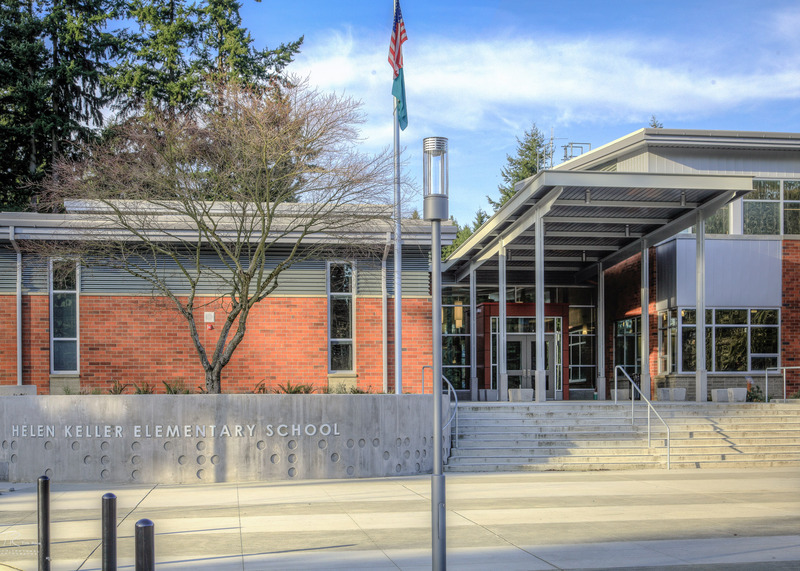 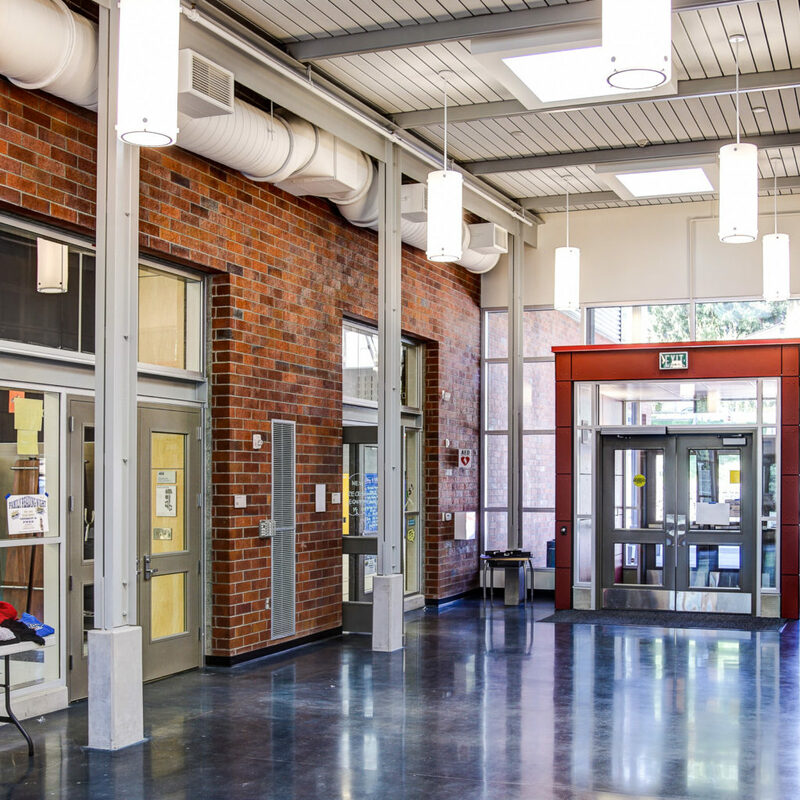 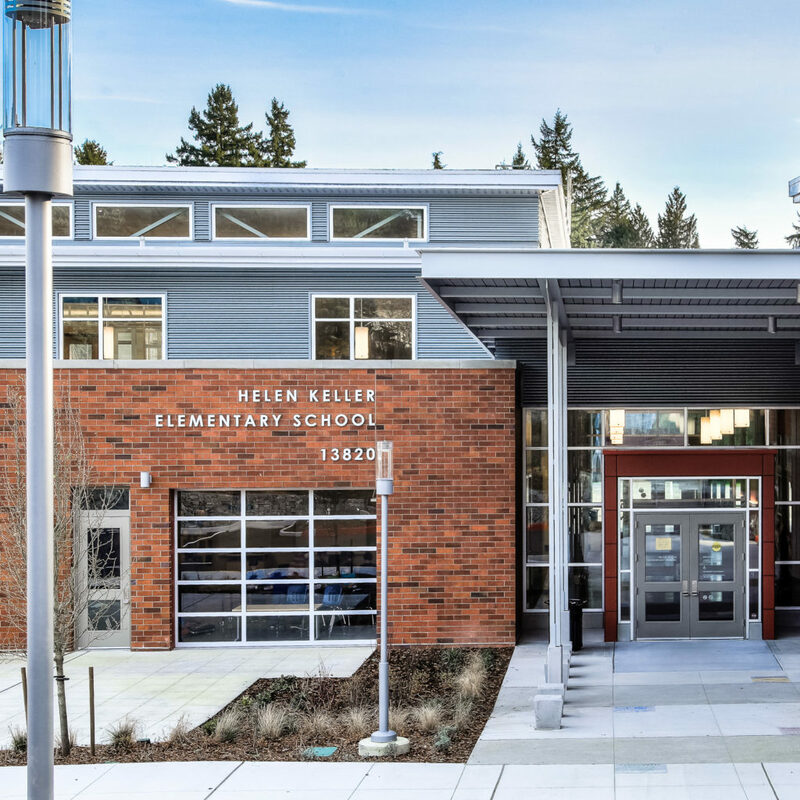 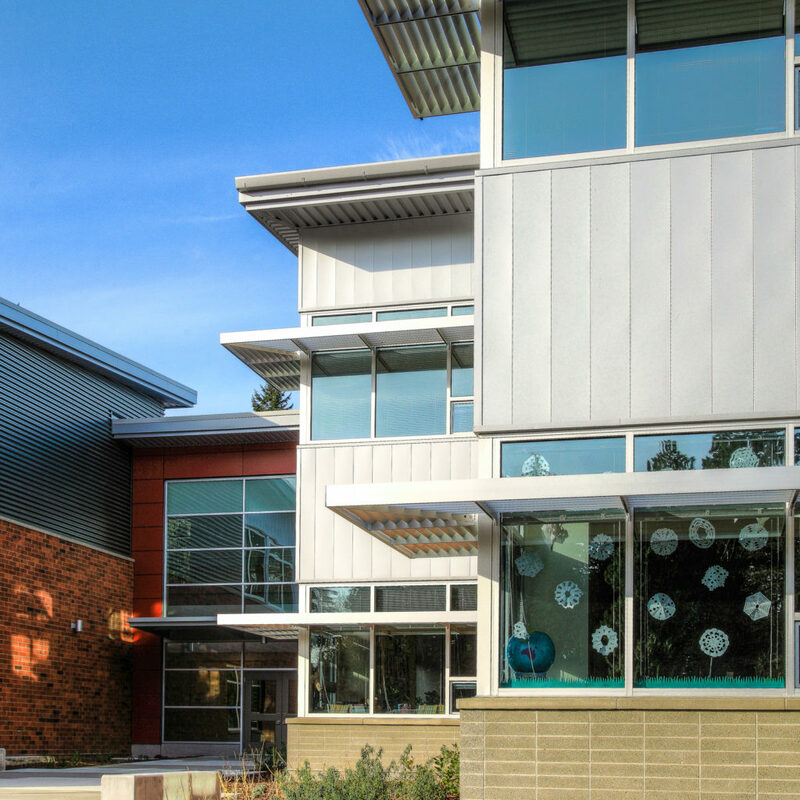 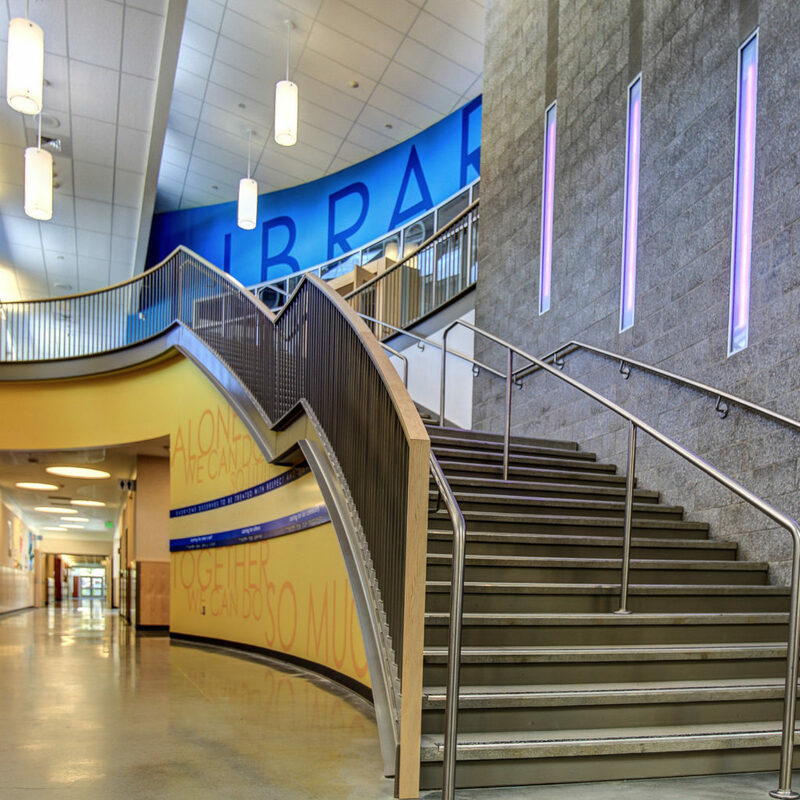 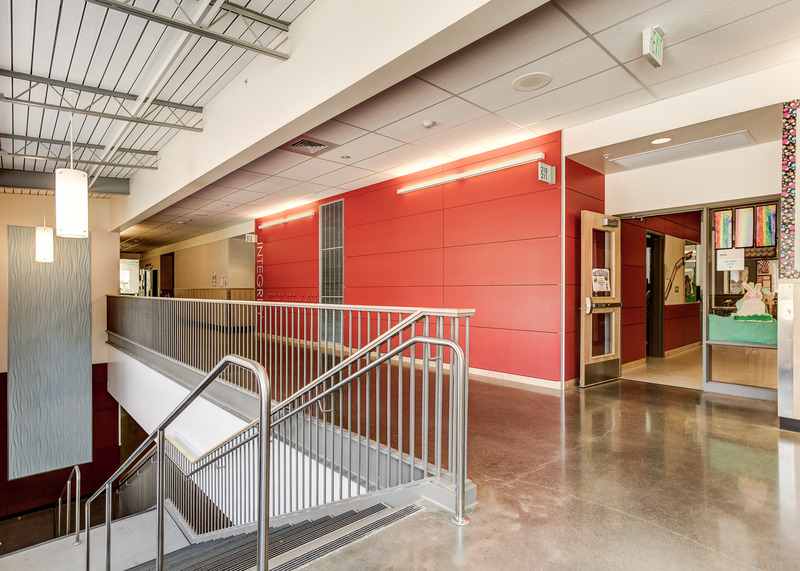 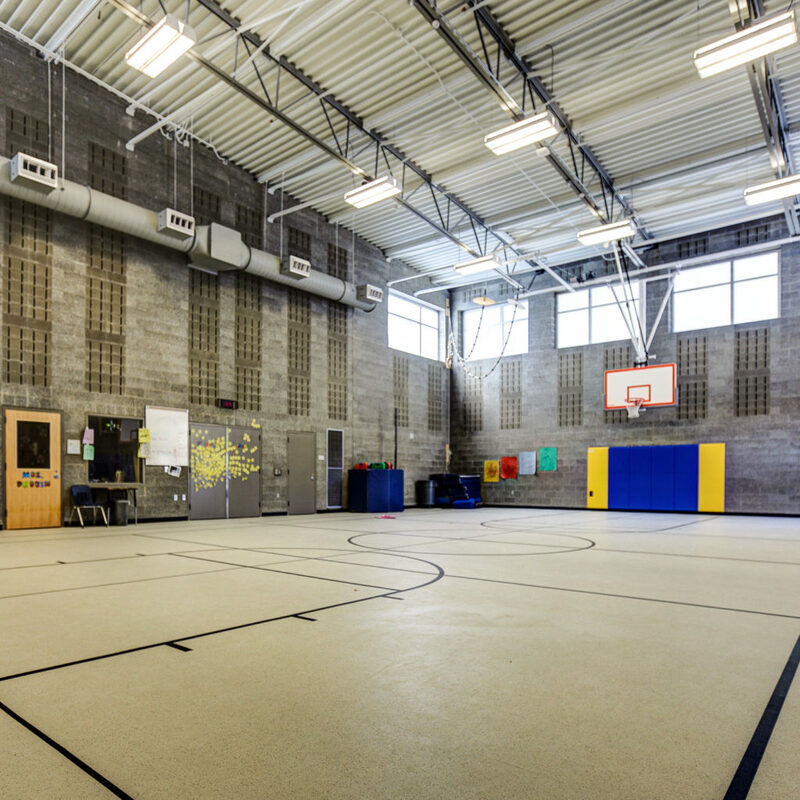 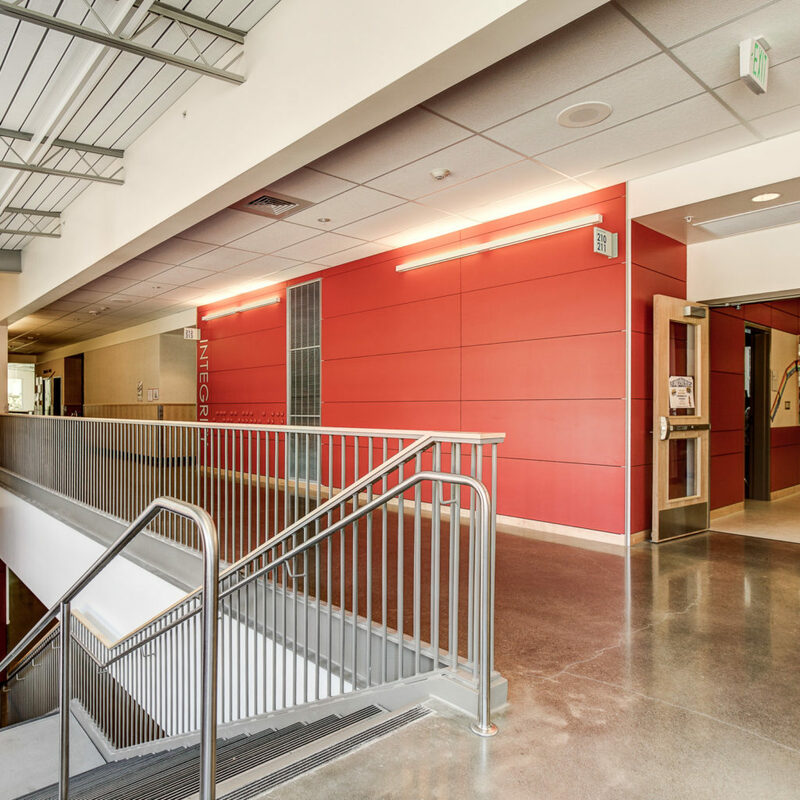 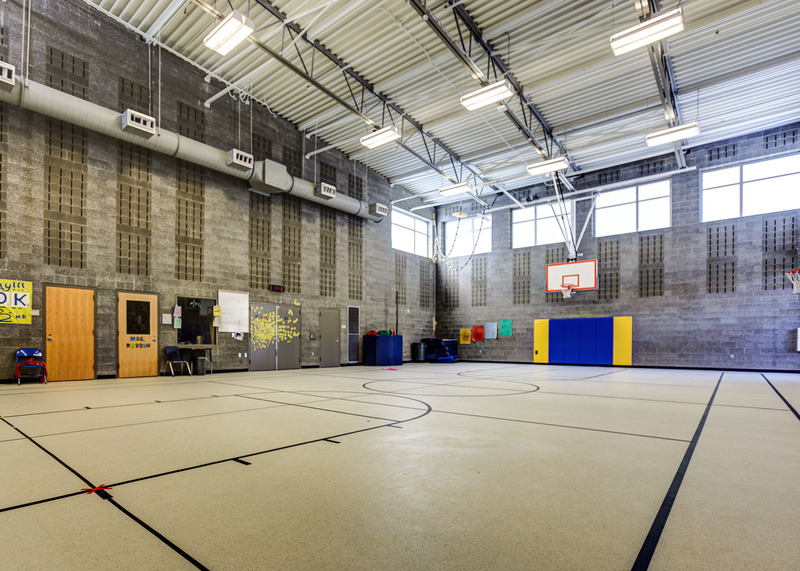 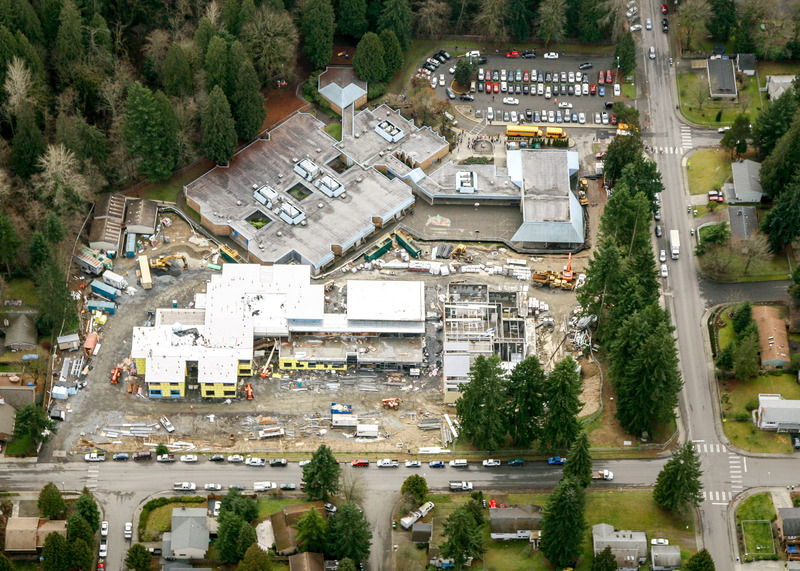 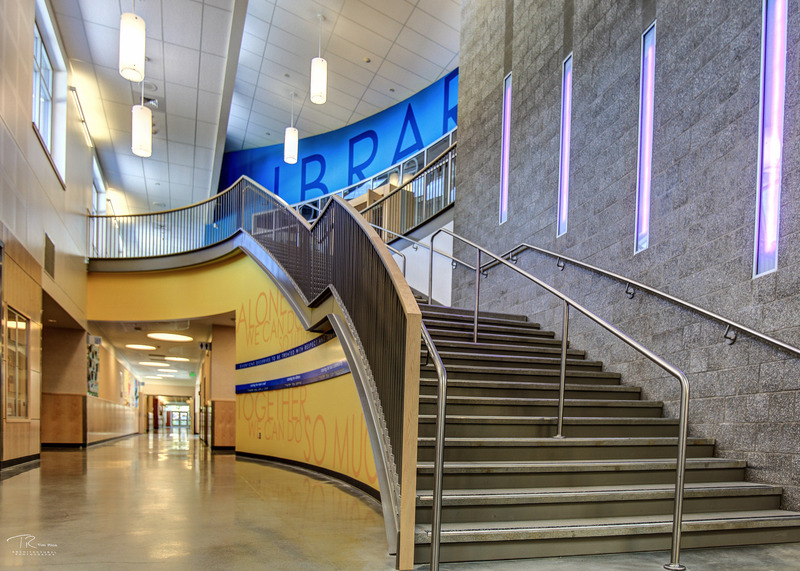 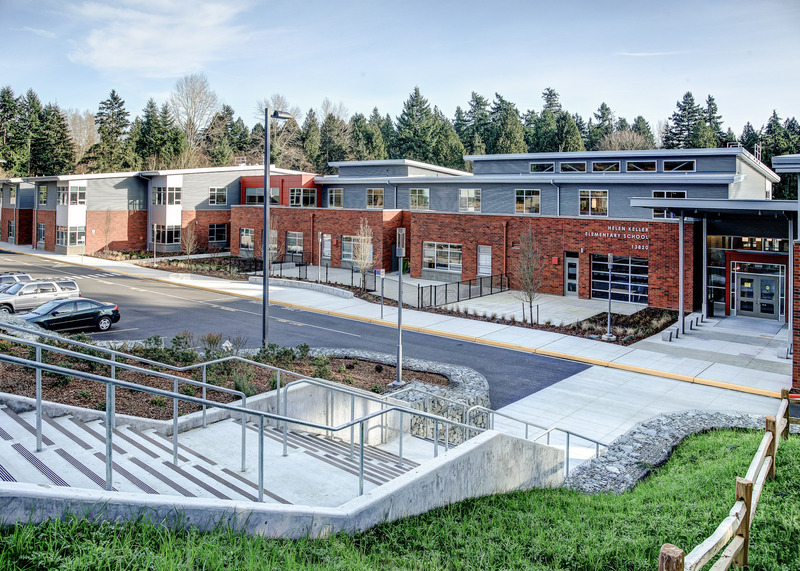 The Helen Keller Elementary School project consisted of a new two-story elementary school of 57,000 square feet, built immediately adjacent to the existing facility in operation. 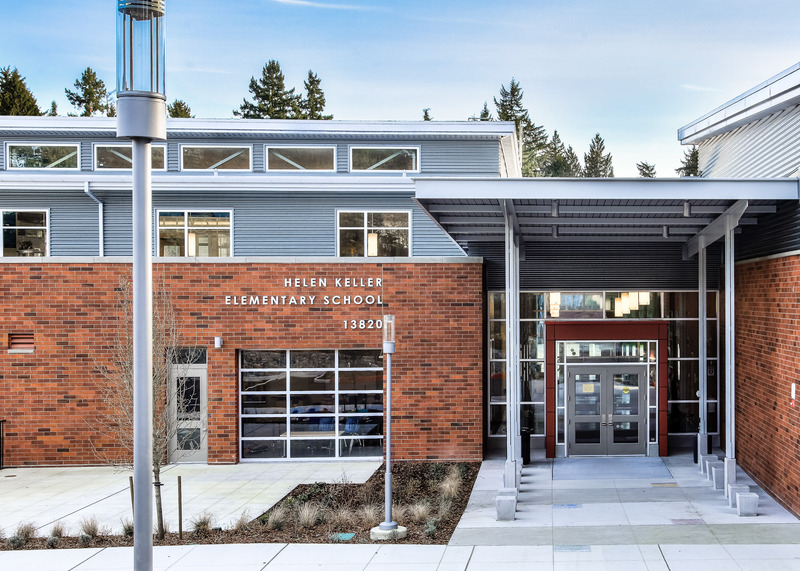 During the final phases of design, an annexation by the City of Kirkland introduced a strict a 35-foot height restriction that prompted the relocation of planned rooftop mechanical equipment to below ground. 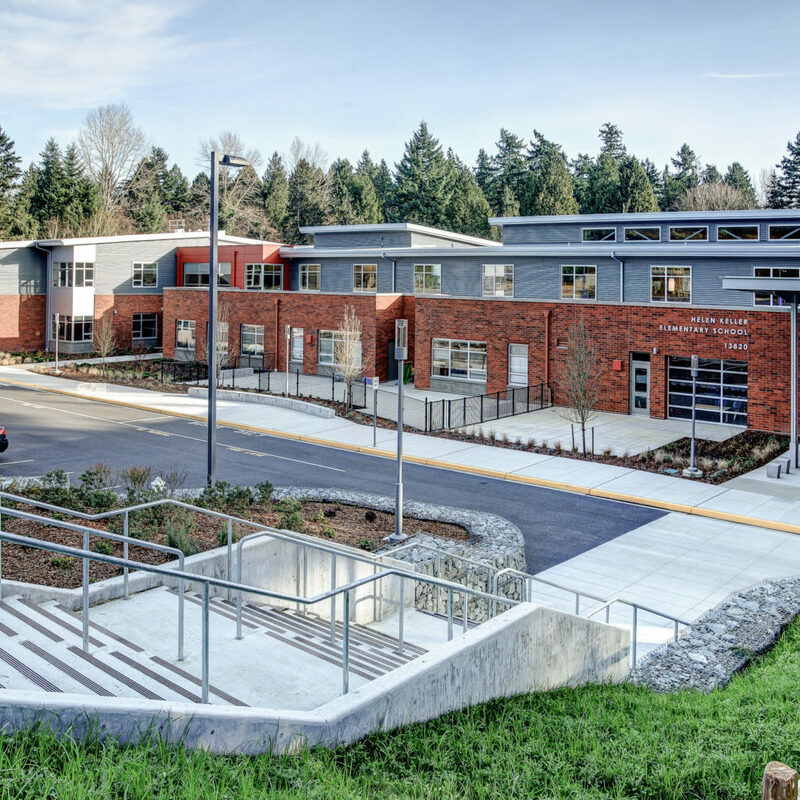 Working closely with the design team, Cornerstone performed significant dewatering to lower the groundwater table of the site, allowing for excavation and construction of a 9,000 square-foot mechanical basement. 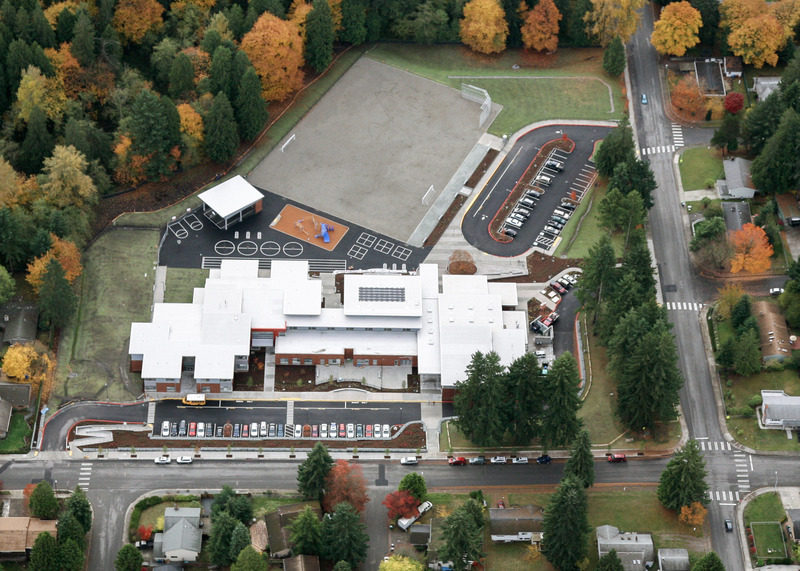 To protect Juanita Creek, located less than one hundred feet from the construction work area, Cornerstone prepared and implemented an extensive erosion and sediment control plan. 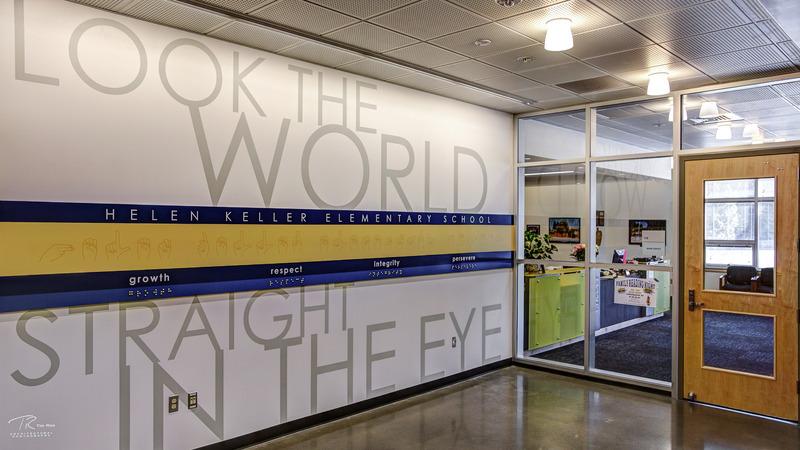 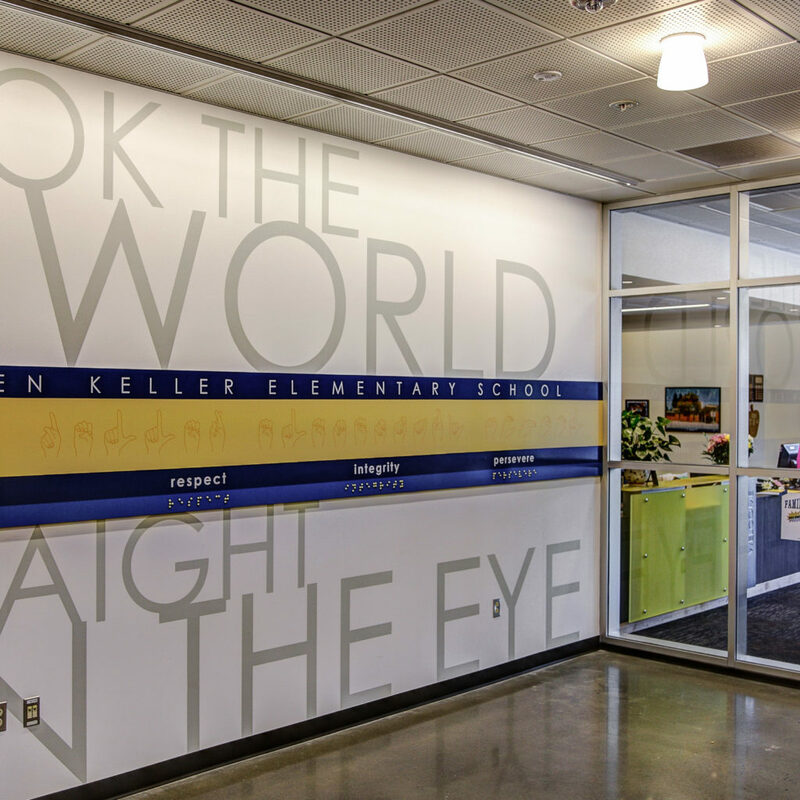 Design elements inspired by Helen Keller’s life, such as oversized braille on the walls, were used throughout the school.